We were dubious about staying here as not heard much about it. But we got a great package deal and just went for it. We arrived at 5.40 to be met at the door by Paul/Pavlos, shown to our room and given a little hotel info. The bar, terrace and taverns all look great and the service from all the bar staff, Sofia, Debbie, Dennis, Paul is second to none. The meals in the taverna all seemed freshly cooked, wine was good, service from Athena. Sophia and Theo all fab. Pool nice and big, clean, always sunbeds available. Paul gave is karaoke, quiz, bingo and more. Great fun. We will be back to Rainbow. Stopped at the rainbow on the 23rd of June 2013,what can I say we had a wonderful holiday,these apartments were just what we wished for.The staff were friendly and always happy to help. Sophie and Nikos were excellent hosts nothing was too much trouble.We ate breakfast there most mornings which was English breakfast with English bacon and sausage and a lovely cooked egg with a runny yolk,we enjoyed their greek salad every lunch time after we returned from the beach.We didn't eat in the hotel restaurant in the evening as we have been visiting Zante now for 9 years and have a few local haunts we like to visit, the poisedon ,Milos and Alexander the Great .all fabulous restaurants.we have had many good reports of the rainbow restaurant also serving excellent meals.thanks to all the staff for a wonderful stay and we,ll be surely returning there again soon. Hi, we stayed at the Rainbow Apartments from 31st July - 7th August 2012. I have never written a review before but we had such a great time I felt I wanted to leave a review. As many people have said before these apartments are brilliant - the owners, Athena & Nickos are so friendly and cannot do enough for you. If you need anything they will sort it for you. The little supermarket opposite was perfect for breakfast items. Beautiful fresh bread, jam, salami, cheese, cereal, milk and yoghurt. All at reasonable prices. The rainbow breakfast was only 4 euro 90 including tea or coffee. The food and drink at the Rainbow was really good and the prices were cheap and the bar had loads of choice of drinks and cocktails at really reasonable prices. Sophie behind the bar was also superb, always smiling and happy and keeping all the areas clean and tidy. The room was basic and small, it suited the 3 of us very well - you only tend to sleep there anyway!!! The air-con was a godsend as it was 40 degrees most days and 28 - 30 during the evenings, this cost extra but it was worth it There were always plenty of sun beds available whatever time you got up. The Internet worked really well at the bar and while we were there it was free. There is a TV room and a pool table (these were also free when we were there). The lager was served in ice-cold glasses which my husband loves. You are able to use any pools at the apartments in the area as long as you buy food and drink from the on-site bar , so we could have gone to 4 or 5 different pools if we had wanted to We spent most of our week by the pool, relaxing and chilling out. The pool was really warm, perfect for falling asleep on a lilo!!!! We only made it to the beach once because we were having such a relaxed time by the pool. The beach was lovely - a 15 minute walk - 2 sun beds and an umbrella were 7 euros for the day. We went on a boat trip and saw the turtles - we also swam in the sea (jumped from the side of the boat). The trip was very reasonable and we had a lovely time. All in all a perfect holiday. We are already looking at booking again next year. I would recommend the rainbow to anyone who wants a relaxing enjoyable holiday. I cannot praise the rainbow high enough - it's one of the best places we have stayed in Spain/Greece. We stayed at Rainbow from 21/8/2011 - 29/8/2011 and enjoyed every minute of it. Athena, Nikos and Sophie were extremely friendly and provided an excellent service. The rooms are small however, they were the cleanest I've ever stayed in Greece. Our room was cleaned 4 times in 7 days with 2 linen changes and I know If I'd asked they could have been changed more. The pool was very clean and a great size witha lovely pool area, bar/lounge and restaurant and the food was very good value for money and tastey also. I wouldn't hesitate to either visit again or recoment to others. We stayed at the Rainbow May 12 to 22nd for the first time this year. We have only been back a week and have already booked to return to the same place in September. We thoroughly enjoyed our time with Nikos, Athena, Theo, and not forgetting the hard-working Sophie. The apartment we had was small and basic, but had all the things we needed. There are larger apartments in the complex, and we were kindly shown them by Nikos the owner. They are cleaned every other day, and the bathrooms and bins cleaned daily. The whole place is kept spotlessly clean and there always seemed to be someone polishing, mopping, dusting. The pool area is wonderful; very peaceful, plently of sunbeds or tables with umbrellas. The pool itself was kept very clean indeed. The bar area attracted not only residents but people from other hotels. There was a great atmosphere, and we liked to spend most evenings here chatting away the hours. I highly recommend the BBQ. At 10 euros it really is great value for money. I defy you to try to eat all the food offered! There was a huge choice, beautifully cooked and perfectly presented. The restaurant is superb, so much choice and really good food, expertly prepared. The snack bar has a large choice, again always hot, tasty and well presented. I had a full cooked breakfast on our last morning and wish I had tried it sooner in the holiday. The location of these apartments was just right for us. Near enough to the centre of the village with ample bars and restaurants, yet still far enough out of town to ensure a perfect night's sleep. I recommend this place completely. If you want good clean accommodation at a very reasonable cost, and to stay with friendly owners who cannot do enough for you, this is the place. Heaven. This is the first time I have visited this site. I have been going to Kalamaki now for five years and I find it to be the best resort I have ever visited and I've been to quite a few around the Greek Islands.The locals are so friendly there. I was in Kalamaki this year from the 5th- 19th September (2010) and I ate most evenings at "The Rainbow "and have nothing but praise for their" Pheloxenia ".The food is excellent and traditional and whilst being serenaded by Giannis Parios ( Nikos knows he's my favorite) I was truly feeling GREEK? .......Ya panda mazee Nikoz. Hi i stayed at the rainbow, this is my first time staying in these appartment & they were realy clean, there was hot water all the time, but you had to let it run for abit the shower was ok to has there was a shower curtain & you don't normaly get them. Its is quite as well so i was able to go to sleep at night not like in some were it is 3 to 4 in a morning before you can get off. Very clean bedding change & towels, cleaned every day, bins were emted every day. I will stay in these again, but i told Athena i will not be coming back next year as i need a change from Zante, but i know i will be back next year, love it. Just stayed two weeks in Rainbow. It's a great place clean and tidy, modern double glazing / mozzy shields happy friendly staff nice pool and plenty of sunbeds. Mostly it seems mature holiday makers by that I don't mean old but no gangs of lads etc. mainly couples and families. For a base to explore the island and have a nice relaxing holiday I couldn't fault it. I would recommend. Just got home from a 3 week stay at the Rainbow, Nikos & Athena made us very welcome (as usual), we have stayed there many times over the years and consider them amongst our friends. The rooms are basic and clean and you have everything you need and if you haven't just ask and they will provide you with things like toasters, extra pillows, blankets etc. If you don't tell them about any problems you have, they can't put them right. Towels and sheets are changed regularly. The food is good in the snack bar/restaurant and reasonably priced and there are always plenty of sunbeds around the pool. Recommending the Rainbow - great place to stay. Rooms clean, staff friendly, food great. Love the pool area. Plenty of space, clean and comfortable. We will definately return here! I am not a snob and come from a working background as most who visit the Rainbow do, But having said that I expect after saving all year for a holiday that the basic of a hotel are in place...This is not happening at the Rainbow and I am sure in time a few more will speak out to the fact it is not.. If you personally enjoy the Rainbow fine but after 15 years of travelling around many places in Greece I expect better than we got.. I love Greece and the people but they have to wake up and smell the coffee before it is to late..
We all work hard to make a crust and in return we expect a holiday that gives you what it says in the brochure in the case of the Rainbow Apartments this sadly is not happening.. In reply to the last comment I would just like to say, we will be returning to the rainbow for the 2nd year running, if you were not happy with the room why didn't you speak to nikos or athena they would have made sure things were put right. You do get basic but that is what you pay for. If you want 5star maybe you should book a 5 star place. As for your remarks on Blackpool I live there and things are being done to clean the place up, yes some small guest houses (&hotels ) could do with cleaning up but it doesn't matter where you go in the world you will not get every place 5 star which I think is what you sound to be accustomed to. Firstly I must admit I only paid a average price for the week at the Rainbow but found the rooms as this. The door into our room had two large glass panels that went straight on to the main corridor, yes it had a pattern but still it was not nice to have people walk pass and see you just come out of the shower.Oh yes the main door had a good 1 inch gap at the bottom !!!!! We have been visiting Zante for 5 years and this is our first time at the Rainbow. Absolutely brilliant and the owners Nicos and Athena cannot do enough for you. Anything you need or need to know, they will tell you. The snack bar and bar is reasonably priced and the food, which is freshly prepared is just fabulous. Also the Rainbow Taverna does some of the best authebntic Greek dishes I have ever tasted, all presented brilliantly and with courteous service. The Rainbow is one of the best and we will return next year if only for their fabulous pool and entertainment programme. 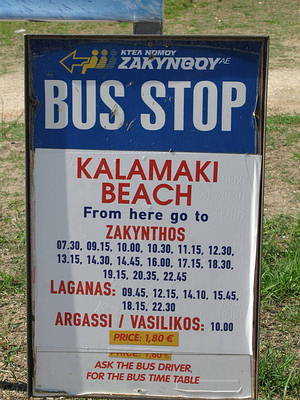 Dont miss out on this one, it's a great hidden gem of Zakynthos!!!!! Hello, I am new to this site but am soooooo excited! My sister and I will be spending 2 weeks at The Rainbow in august and cannot wait - all the reviews are fantastic my sister can pack a bag and go anywhere but I am a little fussier and like to read reviews and see other people's holiday photo's... hence why I booked The Rainbow! 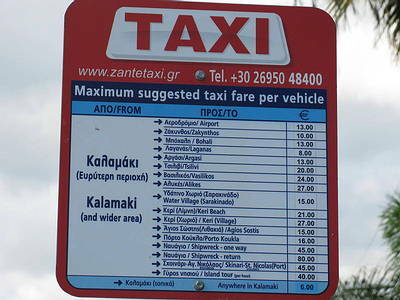 If anyone can recommend places to visit, eat, drink etc, that would be great and much appreciated (although I've read The Rainbow's taverna is lovely). After reading so many great reviews on this website that inspired me to book Rainbow for our stay in Kalamaki, I thought I'd also add my comments. All the expectations we had on arrival were met and exceeded! The Rainbow is just such a great little place for a relaxing holiday, the rooms are very clean and although basic, met our needs as we spent most days by the lovely pool and ate out at night. In my opinion, its the staff and the holidaymakers who stay at this hotel (most are return customers!) who make the whole experience memorable - so much so that you'll want to return year after year. Athena & Nikos are a lovely, friendly couple who are always smiling and making you feel part of place. We ate a few times in the taverna attached to the apartments and the food was authentic and very tasty as well as excellent value for money. Keep doing what you are doing Rainbow, as the whole atmosphere is very special. We will definiately return and I am already recommending you to all my friends! help.....need email adress for rainbow.athena or nikos please get in touch? Rainbow feels like our second home, we are treated like family and everyone works hard to make your holiday special. If you want a friendly laid back holiday this is the place with many of us returning year after year. The food in the restaurant excellent along with friendly service. See you all again soon. I have just returned from what has been the most relaxing, friendly and fun holiday I have ever had. When trying to book for the Rainbow at the end of August, I found that Thomas Cook was the exclusive travel agent and had no places available. So I emailed the Rainbow direct through their website, and luckily enough, received an email from Athena saying that they had rooms available. I did not hesitate and paid a deposit straight away. The reception on arrival at the Rainbow lived up to all expectations, with Athena introducing herself and showing us personally to our apartment. Because we booked direct, we didn�t have to pay extra for the safe or air con (I don�t know if this happens every time though). Our room was clean and had everything you needed, kettle, hob, tv, shower etc, with a balcony overlooking the pool. Talking of the pool, it was a good size, very clean and had more than enough sun beds for everyone. Later in the day Athena introduced us to her husband, Nikos, who was just as helpful and friendly. The Rainbow also has its own taverna, which I can highly recommend. The moussaka is a must!! Other restaurants I would recommend are Michaelos, for their unbelievable Lamb Kleftiko and Petrinos for their stuffed mushroom starter. Both are located about 200 yards from the Rainbow, but in opposite directions. Another restaurant I'd recommend would be Select, which is on the main strip. The food was very good and the service, especially from the camp but married waiter, was outstanding. Do not eat at Mermaids!! Although it is "World famous" (according to its display) the service was terrible and the food was just as bad. The main strip with its mass of restaurants and bars is a 5 minute stroll away, with the beach a further 5 minute walk. The beach is sandy and has sunbeds and umbrellas for which you have to pay a daily fee for. There are no watersports, apart from a few pedalos. If you want to book a trip, please visit Chris, who is located on the right side of the road, halfway between the main strip and the beach. He was very honest, advising us which trips to go on or to not bother with. He also gave us a discount when we paid by cash. The weather was brilliant, with temperatures up into the mid 30's. We only had one bad day, with storms and torrential rain. But we were told that this was the first rain in 4 months!! Anyway, back to the Rainbow. I cannot recommend it highly enough, with Athena and Nikos doing their utmost to make your holiday as relaxing and fun as possible. They would do almost anything for you. Athena is a jack of all trades, working on the reception, in the kitchen, at the bar and even doing the cleaning. Nikos is the tv expert, making sure that all of the tvs, at least half a dozen, have something interesting showing. If you are a football fan, you will be in heaven, with nearly all premiership, european and international games being shown. I also have to mention Roger and Julie, who tend the bar, keep the place tidy and keep the guests talking during the day. And finally Ashley, the karaoke queen!! She will do her best to get you up to sing on the twice weekly karaoke nights. The friendliness of the hosts seems to extend to the guests, with everyone talking to each other around the pool during the day and around the bar at night. Sorry for such a long winded review, but there was a lot to mention. So to summarize, GO TO THE RAINBOW!!! You will not be disappointed. Finally, I want to say a very big THANK YOU to Athena, Nikos, Roger, Julie and Ashley for making our holiday such fun!! Roger, if you ever want to swap jobs, just let me know!! Stayed here for last two weeks in July with my wife, daughter and grandchild. A fabulous place to be, with owners looking after your every need. Depending on the flight prices, we'll be back next year for another stay at the brilliant Rainbow.